Who would have thought that an NHS trust is directly involved in manufacturing? Not many I suspect and I certainly didn’t. So it was a bit of a surprise last week when I heard news that a new pharmaceutical manufacturing plant has been built in Devon. 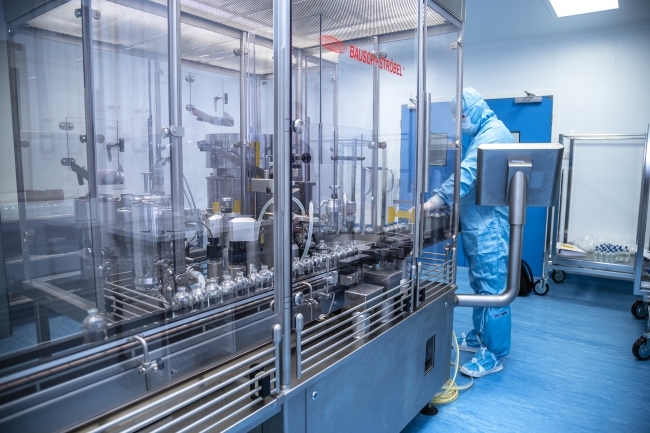 Torbay Pharmaceuticals, part of Torbay and South Devon NHS Foundation Trust, held an official opening to mark the completion of its new manufacturing unit in Paignton. 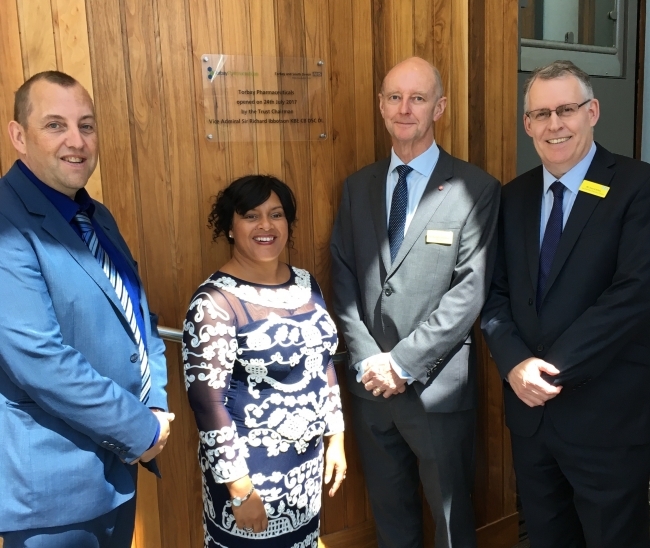 The £26m project has delivered a brand new, 78,000 square foot manufacturing unit that has all the latest technology and equipment required to provide a modern, class-leading pharmaceutical facility. Torbay Pharmaceuticals employs over 170 people in a wide range of roles from scientists and pharmacists to engineers and sales and marketing. Employees include some of the region’s most experienced and knowledgeable pharmaceutical specialists. The unit develops and makes a wide range of medicinal products which are then sold to and used by all UK NHS hospitals and healthcare organisations across the world. Proceeds of the income generated by the pharmaceuticals unit are ploughed back in to local health care in Torbay and South Devon. Each year this provides a multi-million pound cash injection for our local population’s health care needs. Prior to the build of the new manufacturing unit, Torbay Pharmaceuticals’ units were spread over four different sites across the Bay. Many of these sites required significant investment to bring them up to the modern standards and to enable the demand for its products to be met. A team of designers, planners, engineers, architects LHC Urban Designs and appointed building partner Balfour Beatty, worked to turn this vision into a reality. Work began to prepare the site back in March 2013. Since the buildings physical completion back in December 2014, rigorous testing has been taken place. With the regulatory requirements being met, the building is now approved and fully operational. The Trust’s Chairman (Sir Richard Ibbotson), Managing Director of Torbay Pharmaceuticals (Emma Rooth), Technical Director of Torbay Pharmaceuticals (Mark Andrews), together with staff, representatives from Balfour Beatty and other partners, marked the milestone with a celebratory opening ceremony with Sir Richard unveiling a commemorative plaque. Sir Richard Ibbotson, Chairman of Torbay and South Devon NHS Foundation Trust, said: “We are incredibly proud of Torbay Pharmaceuticals and all that they have achieved over the years. Not only have they created a range of highly skilled career opportunities, but they generate income which directly supports the health and care of local people. This is a first-rate example of what innovation in the NHS can contribute to local communities. Emma Rooth, Managing Director of Torbay Pharmaceuticals, said: “Torbay Pharmaceuticals is proud to be such a successful part of Torbay and South Devon NHS Foundation Trust. Being part of the NHS enables us to have our finger on the pulse of healthcare needs and respond appropriately with new products, plugging shortages and anticipating the latest developments in medical science. “Since the establishment of the original pharmaceutical department at Torbay Hospital back in the 1970s, we have grown from strength to strength to meet not only our local population’s needs, but also the needs of the wider NHS and health care providers globally. 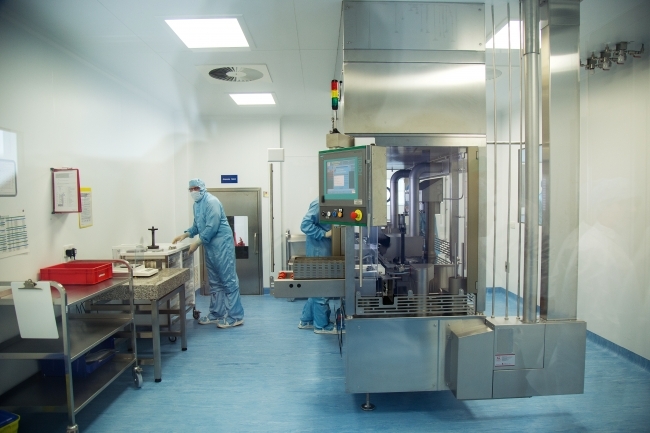 The new pharmaceutical unit’s sterile environment enables the research and development of new and innovative medicinal products. It is the largest NHS manufacturer of sterile products in the UK. The new unit enables Torbay Pharmaceuticals to research, develop, manufacture, test and distribute medicinal products to thousands of customers in the UK and overseas. 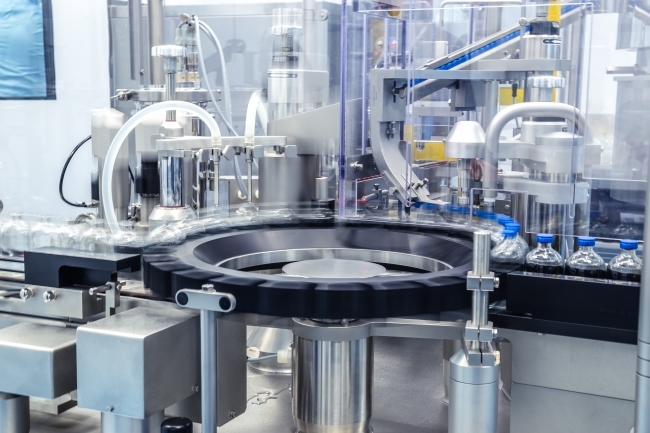 With automated production lines, two new autoclaves for sterilization, the ability to produce larger batch sizes, on-site storage and direct delivery from its vast warehouse, the new manufacturing unit ensures the reliable supply of essential pharmaceuticals.